It’s rare that we stop to consider apps and video games on Colossal, but when we do, it’s with good reason. 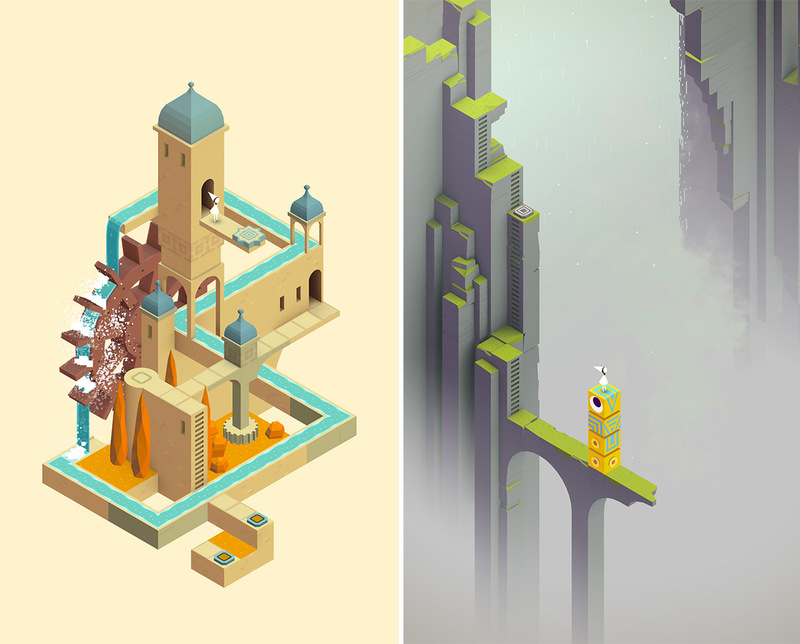 Monument Valley (previously), a gorgeously designed Escheresque puzzle game for iOS, just released eight new levels, collectively titled Forgotten Shores. Over the last few months Monument Valley has proven so popular and ground-breaking that it picked up an Apple Design Award, released a soundtrack, and turned 10 of its levels into an open edition of giclée prints. I spent some time with my six-year-old son working through Forgotten Shores last night, and it’s every bit as fun and innovative as the first release. Get it here. © Julio Lucas. Bradenton, FL United States. 1st Place / 2014 Photographer of the Year. © Jose Luis Barcia Fernandez. Madrid, Spain. 2nd Place / 2014 Photographer of the Year. © Jill Missner. Ridgefield, CT United States. 3rd Place / 2014 Photographer of the Year. © Michael O’Neal. San Francisco, CA United States. 1st Place / Animals. © Coco Liu. Illinois, United States. 3rd Place / Architecture. © Felicia Pandola. Providence, RI. 1st Place / Nature. © Juana Chaves. Madrid, Spain. 2nd Place / News & Events. © Terry Vital. Windham, NH. 1st Place / Others. © Hector Navarro. Zapopan, Jalisco Mexico. 3rd Place / People. © Coco Liu. Illinois, United States. 1st Place / Seasons. © Little Su. New Taipei City, Taiwan. First Place / Sunset. The hype surrounding the new iOS game Monument Valley by ustwo has been almost impossible to ignore the last few days, and after downloading the puzzle game last night I was able to see why after about 30 seconds of playing. This is simply unlike any game that has come before it. Heavily influenced by the drawings of M.C. Escher the game is so aesthetically beautiful the developers include an in-game camera that lets you take pictures you can share as you play. But this game isn’t just about pretty architectural landscapes, the gameplay is as entertaining as it is brilliant—instantaneous changes of perspective and gravity propel the game forward in unexpected ways. You can download it here. If you enjoyed this also check out other minimalist games like Rymdkapsel or LIMBO.